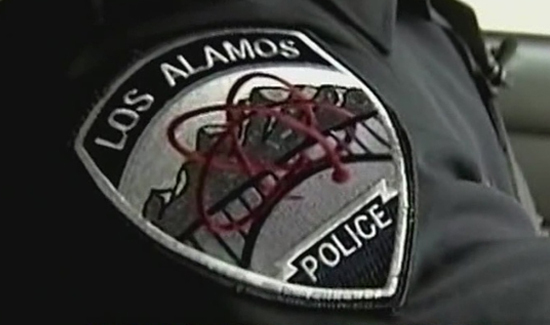 The Los Alamos Police Association Local #14, a unit of the International Union of Police Associations (I.U.P.A.) Successfully negotiated and outstanding contract with the county of Los Alamos. The fact that the contract was unanimously approved by officers in the unit is a clear indication of the quality of the agreement. The contract will provide the officers with a superior grievance process so that if an officer feels they have not been treated fairly under the terms of the contract, they can move through the chain of command to have their grievance heard in a timely manner. In addition, employees can only be disciplined for cause with any disciplinary actions clearly defined. When placing officers on a seniority list, those hired on the same date would be given seniority status based on their overall police academy scores. This is a process that the officers consider the fairest way to determine seniority. Shift schedules will have sergeants bidding for shifts prior to the officers putting in their bids. The sergeants’ schedules will be posted prior to officers and corporals bidding. Since most officers seek shifts according to which shift a particular sergeant is on and not what time of day or night the shift occurs. The officers consider this was a big plus and will foster closer teamwork between them and the immediate supervisor. Also, officers are allowed one hour on shift to work out, provided there are enough officers to cover needed areas and patrol assignments. This will ensure that officers will maintain the kind of physical conditioning that is so critical to police work. A new pay scale has been created to include step increases in which officers all are paid on an equal basis according to their professional standing within the department. Under the new plan, officers will now be compensated for Associates, Bachelors, and Masters Degrees by moving up two steps in the scale per degree. The average percentage increase is about 10% per officer with some going as high as 25% in order to make up for past inequities by the County. In order to provide an additional incentive to enhance officer performance, they are now guaranteed a two-step increase in July 2017 and July 2018 if they demonstrate that they have met departmental expectations on their yearly evaluations, and three steps if they are considered to have exceeded expectations. Under the new contract officers will be compensated for performing such extra duties as firearms instructors, certified bomb technicians, crash team members, hostage negotiators, TACT team members, drug recognition experts, field training officer coordinator, fleet manager, key operator, and bilingual services. Finally, the uniform allowance increased from taxable $500 every two years, to $400 a year non-taxable stipend. NOTE: Originally chartered in 1979, the International Union of Police Associations, AFL-CIO is the only AFL-CIO chartered labor union that exclusively represents law enforcement personnel. The more than 100,000 law enforcement personnel (one out of every four eligible) represented by the I.U.P.A. are all full time employees of law enforcement agencies ranging from line officers up to first line supervisors as well as civilian employees. The I.U.P.A.’s mission is to protect and advance officers’ wages, benefits and work conditions. Membership includes officers from agencies throughout the United States and in the Caribbean. More information is available at www.iupa.org.